It was like a calling. Something from deep within. You here about at the shows. You see the photos on online. 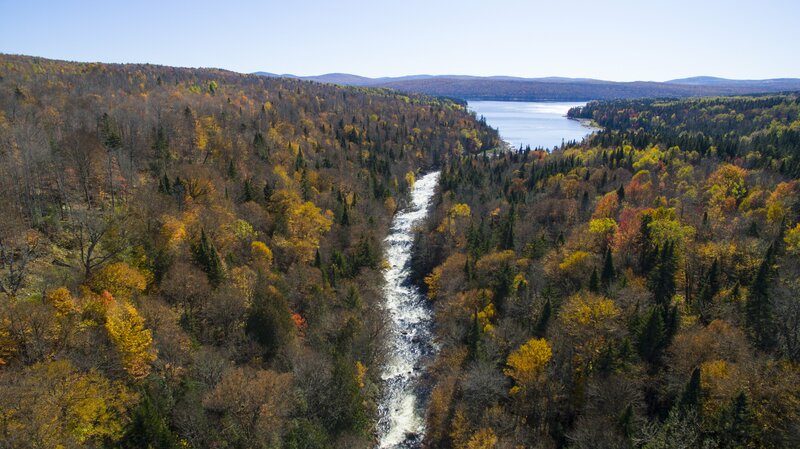 The Upper Connecticut Lakes and the headwaters of the 407 mile Connecticut River has a magical lore that draws you. I always knew I would get there but for some reason, that box just wasn’t checked yet. 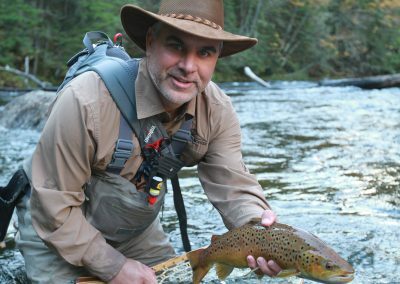 The fact is the Pittsburg, NH area needs to be on every flyfisherman’s bucket list. 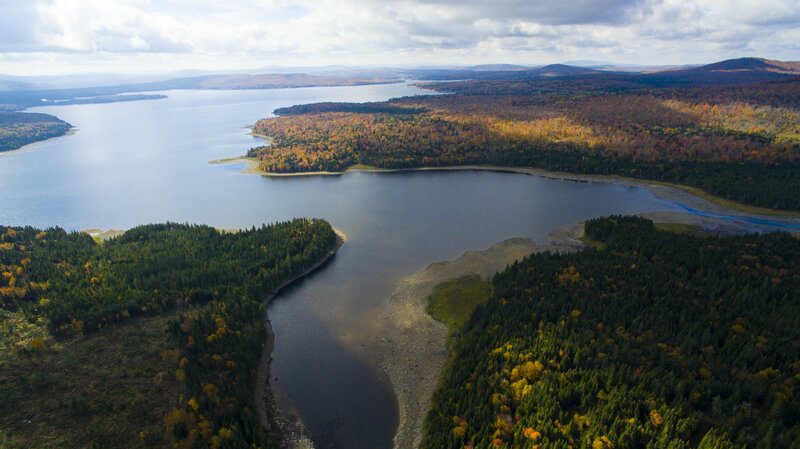 The Upper Connecticut River along with the Connecticut Lakes, Back Lake and all the remote ponds is an amazing fishery so when that late season fishing bug hit me hard, that Pittsburg trip that hadn’t happened yet kept rolling around in my mind. 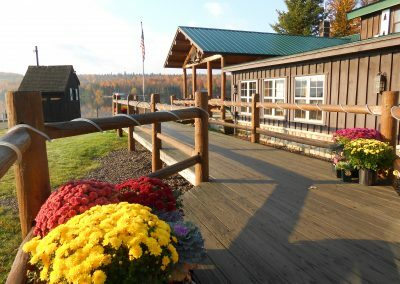 I took action and connected with Tom Caron of Tall Timber Lodge. 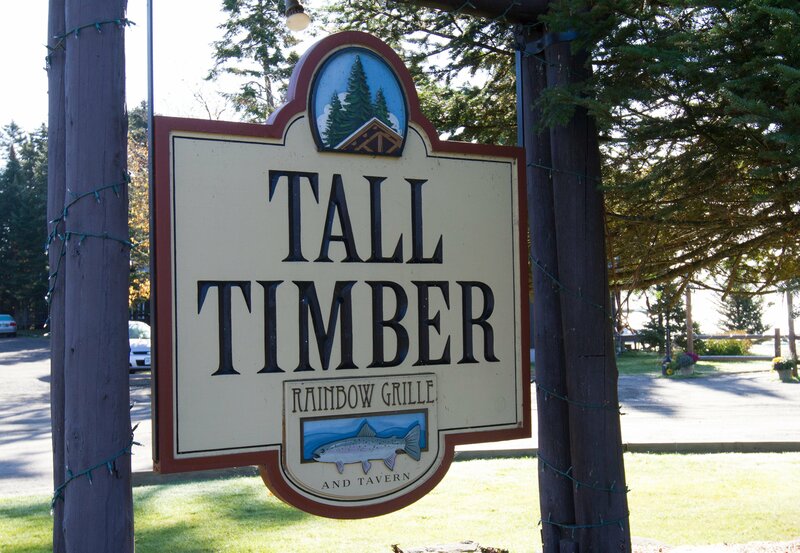 I had heard from several close friends that Tall Timber Lodge was a special place. 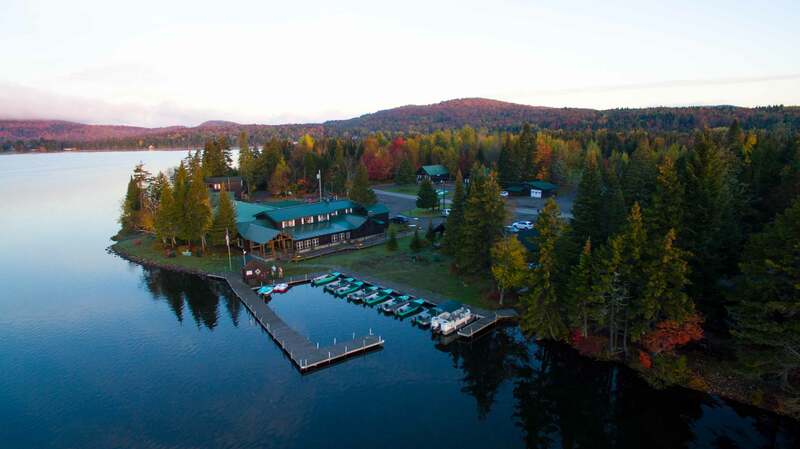 Located on gorgeous Back Lake, Tall Timber is a fantastic launching point for just about any outdoor activity you could ask for. 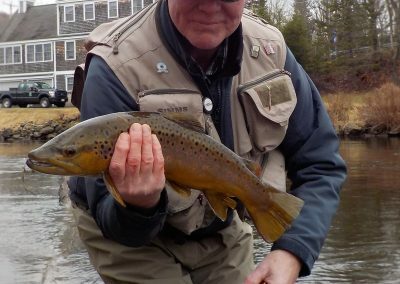 Best of all, it’s only a double haul cast away from the trophy section of the Upper Connecticut river. 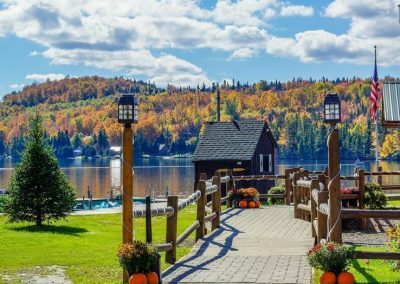 It was just before dusk when I arrived at the Tall Timber Lodge. 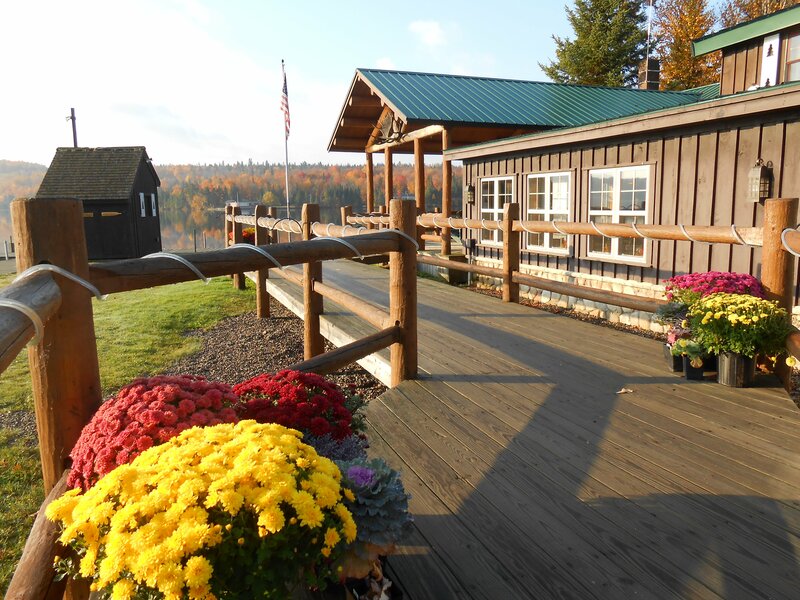 The grounds were manicured while still maintaining the rustic look. The lake was glass and the sunset spectacular just over the foliage covered hills. I was eating a delicious meal in in the Rainbow Grille, the tavern style restaurant within Tall Timber Lodge, when my guide, Chuck Degray came over to welcome me. We planned to meet in the lobby the next morning. Like a kid waiting for Christmas, I could barely sleep. Finally, I fell off and woke promptly without my alarm. I met Chuck in the lobby where he had a hot cup of coffee for me. We watched a beautiful sunrise over the lake. With the fall trees painted in an array of autumn colors, a lite morning fog floated across the still water of Back Lake. I had a sense a long dream was about to become a reality! 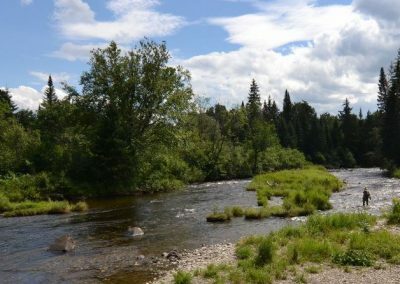 The Upper Connecticut river begins at the boarder of Quebec and New Hampshire near Chartierville. As you head south on 257 you go through US Customs and come to Third Connecticut Lake, the smallest of the “Connecticut Lakes”. 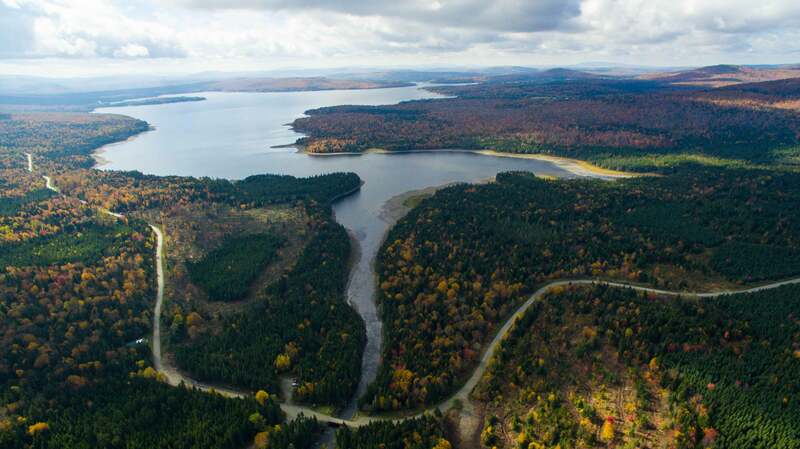 There are four lakes in the Upper Conneticut chain. Third Connecticut, Second Connecticut, First Connecticut and Lake Francis. 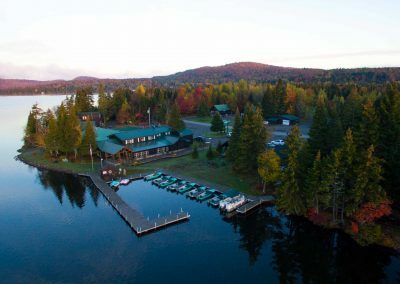 Additionally, there’s Back Lake which is not part of the chain of lakes but since it geographically sits between Third Connecticut and Lake Francis it is often referred to in the same breath as the other Upper Connecticut Lakes. 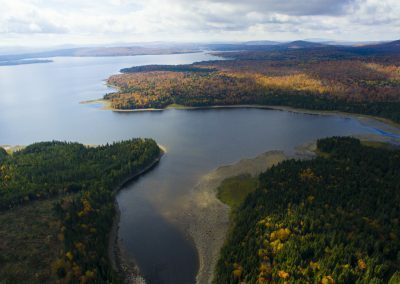 While many people enjoy fishing the lakes, the magic happens between the lakes in the river. 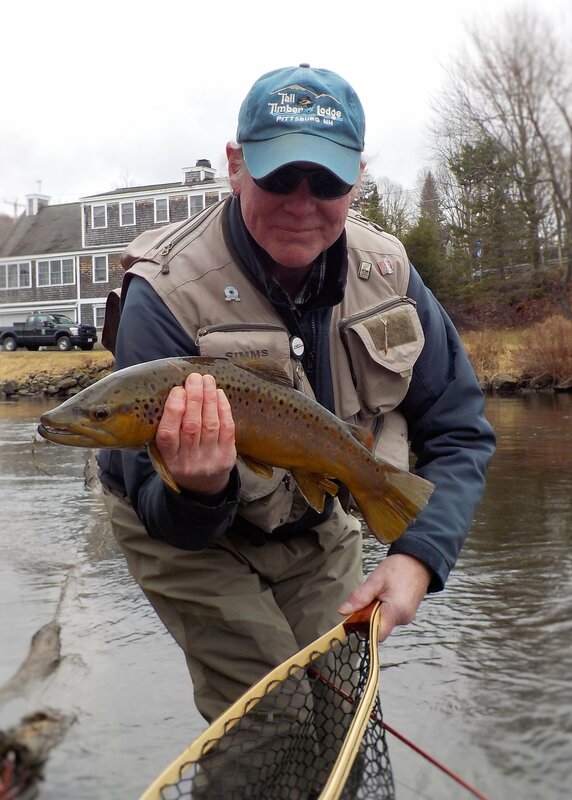 The Upper Connecticut River is considered one of the top fisheries in all the Northeast. After two full days on the water, I now know why. 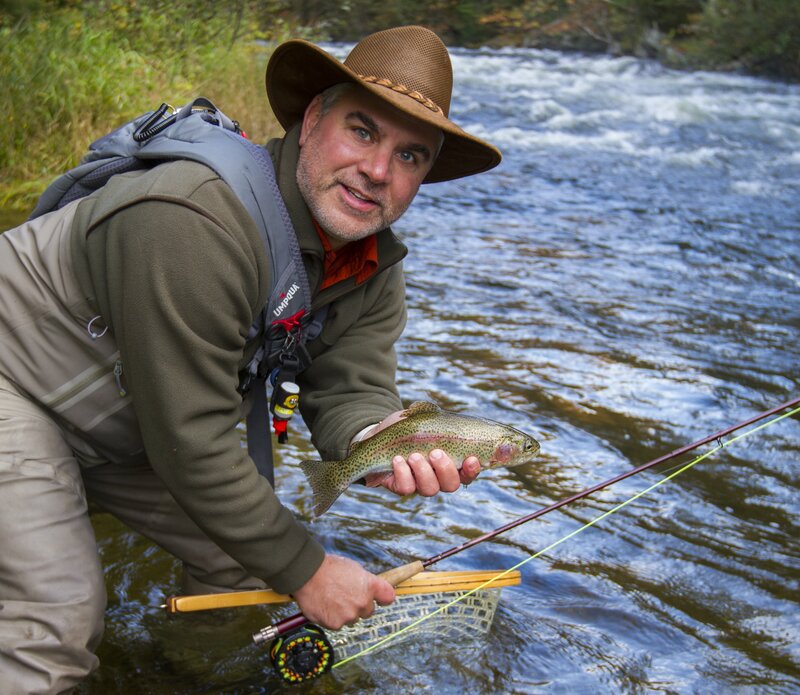 The “Trophy Stretch” is a fly-fishing only section of the river that starts at the outlet of First Connecticut Lake Dam and run 2.5 miles downstream to the inlet of Lake Francis. 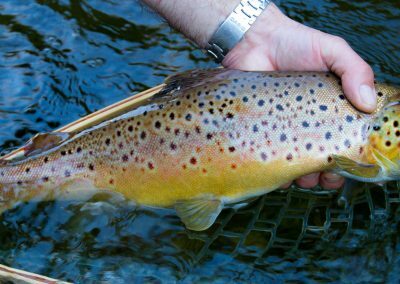 It is filled with riffles and pools providing some of the finest trout and salmon water in the region. There are 11 named pool along the Trophy Stretch. From the picturesque Judge and Jury pool with the cascading waterfalls towards the top of the stretch to The Skating Rink Pool which is down river near Lake Francis. 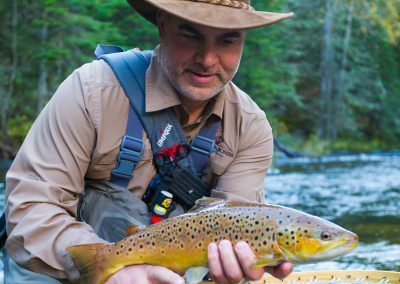 Beyond the pools anywhere you find a seam, a ripple or a run, you have a chance to catch a fish of a lifetime. Fortunately for me that was true twice that first day. Chuck and I hit the first pool and things started a little slow. Not for any other reason but I was sort of beating up the water. 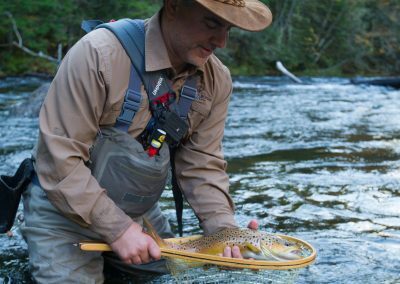 I have always been more of a streamer/dryfly fisherman. I would occasionally swing wet flies or put a nymph dropper off a dry. 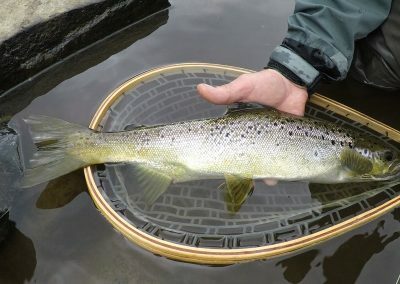 The fact is that those that know how to successfully fish nymphs seem to consistently have the best results and catch the biggest fish. I have always wanted to advance my skills in this area so when Chuck said let’s start out with a two-nymph rig I was ecstatic. We set up an 8’ leader tapered to 4X, fluorocarbon preferred, and we attached our first fly. Chuck recommended a weighed top fly like a stonefly nymph or a bead head. 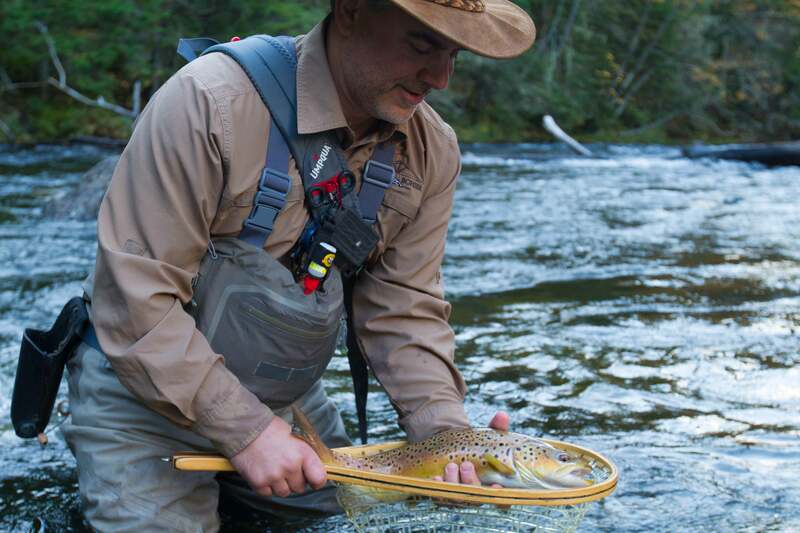 Below that we added about 8” of 5X fluorocarbon tippet and we tied one in a small sparkle pupa type nymph. We added a couple split shots about 4” about the top fly and completed the set up with a strike indicator. You want your strike indicator about 1.5X the water depth so you will need to move that around throughout the day based on the water depth of your pool. You want you nymphs “ticking” along the bottom. We didn’t catch anything out of that first pool but that was mostly on me because I was still getting use to this set up. I would make a comeback though. Since we had a recent soaking Chuck had an idea. 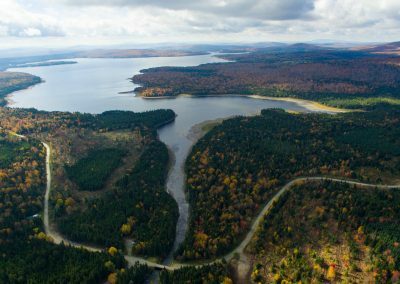 He said let’s head up to the inlet of 2nd Connecticut Lake as the recent rain could serve as just enough of a push of water to bring the salmon out of lake and into the river. 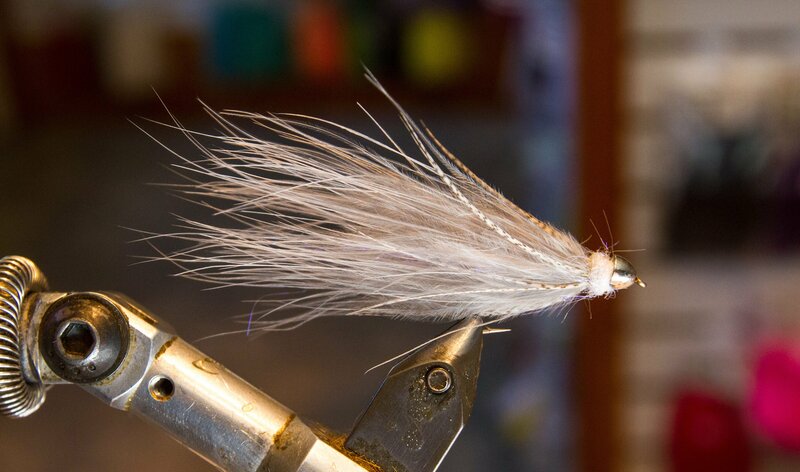 We tied one of Chuck’s hand-tied personal favorites, a grey soft hackle streamer. Feeling back in my element, I made a few casts, down and across with a swing and a strip and POW, I was in! Feeling like this was a nice fish, I was being gentle. Taking some line and giving some line. It felt great to be hooked up but I knew wanted that photo so I was being careful. I put the fish on the reel, angled him towards Chuck and he netted a beautiful Landlocked Salmon. BINGO BANGO is a term my brother and I coined after we land a nice fish and I certainly let out a hardy one after this fish hit the net. As happy as I was, Chuck was clearly happier for me. You see that 21” Salmon was my largest salmon I ever caught in New England. We snapped a couple pictures and released him back to his pool. Chuck’s “hunch” paid off and we landed a couple more before hitting our next spot. 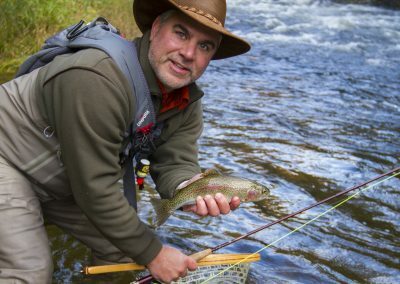 We hit up some honey holes and found many cooperative Rainbows and Salmon. As it was getting towards lunch, with a wonderful morning completed, I suggested we head back to the lodge to relax and have a quick bite. Anytime I can eat and relax overlooking water and gorgeous water in this case, it fills me with great satisfaction. Chuck was telling me about the monster Brown Trout they catch below a dam a bit further down river. 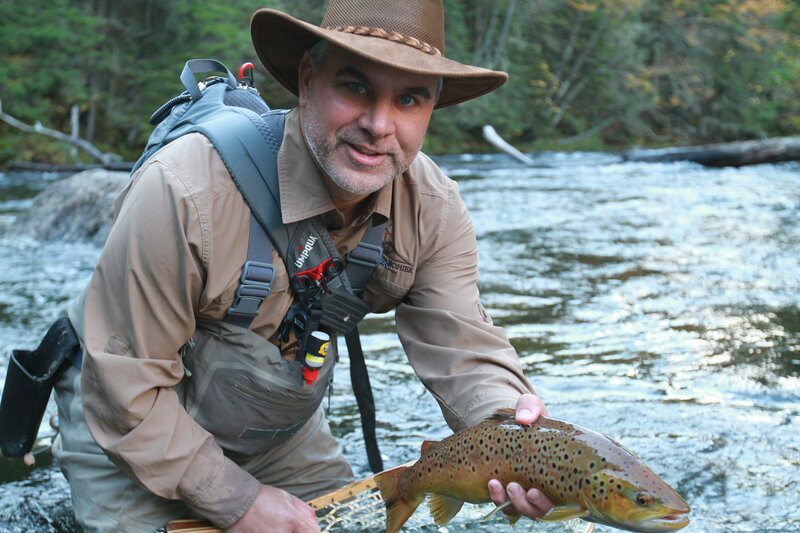 In passing I mentioned I have caught a lot of Brown Trout but never a real trophy. With that information, Chuck said let’s head back out. I wanted to get back on the nymph rig because I was starting to get the feel of it. I was struck by the quality of this pools we were hitting. I was working a seem at the bottom of a “V” when the indicator disappeared. I set the hook and said WHOA, we’re into something. 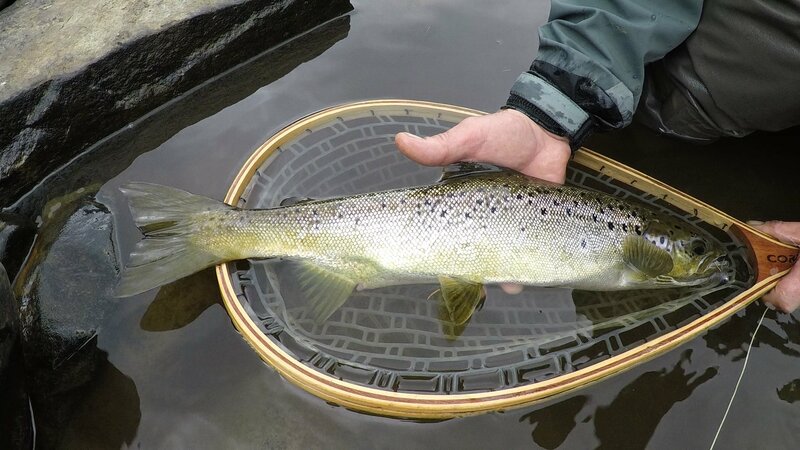 Then I saw that golden flash; this was unmistakably a Brown Trout and a big one! This fish was darting everywhere. Chuck was being so gracious to video tape the fight for me. Since he was holding the GoPro I said hand me the net. He said, “Are you sure?”. With a laugh I said, yeah I got it. Clearly, I didn’t because this fish was all over the pool and then took a left turn and dove for the next pool over. 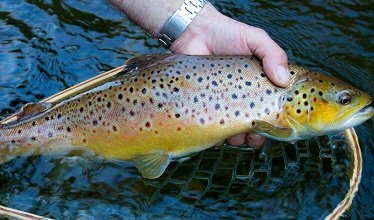 I handed the net back to Chuck and he netted the biggest Brown Trout of my life, a 22” beautiful golden, fall Brown Trout. BINGO – BANGO! In one day I landed 2 of the nicest fish of my life. I had been dreaming of this place for so long and my dreams were coming true. The next day we chased and caught more Trout and Salmon. I was fortunate enough to be invited to float the lower part of the river in a couple drift boats. Chuck and I were join by Cindy and John Howe and we had a blast floating the river and catching beautiful trout. John Howe is a veteran guide of the area. He is basically retired from guiding now but still loves to fish and share his wealth of knowledge on the area. It was a privilege to fish with Cindy and John. Plus when your nickname is “Old Man River”, you are sure to have a tale or two to share. I capped the trip by catching one last fish, a Brook Trout, completing the grand slam. 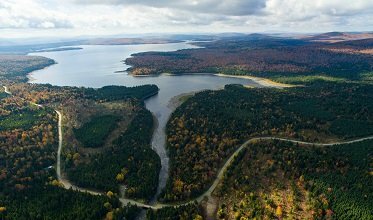 Because the dams between the lakes are bottom feed, the river stays cool throughout the summer. Spring time will bring smelt into the rivers from the lakes allowing a great time to hunt a trophy salmon. 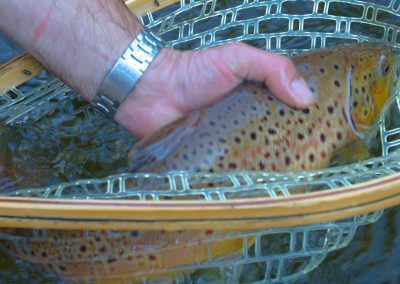 Summer time brings great dryfly fishing both on the upper stretch and the lower which is fantastic from a drift boat. 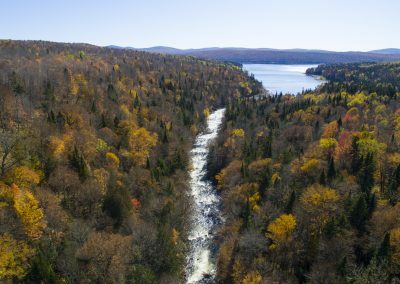 The Fall will bring the salmon back into the river to spawn leaving another chance to land a hard fighting salmon. I found softhackle streamers in grey or olive to be the most productive streamer. 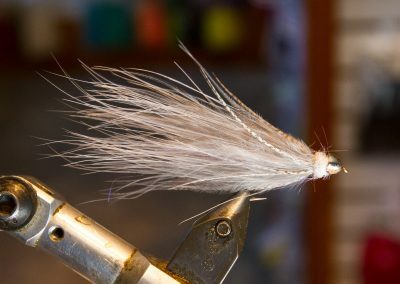 Under the nymph rig I had the most success with soft hackle, sparsely tied wet flies & beadhead caddis and mayfly nymphs in 16 & 18. 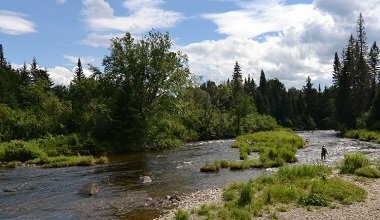 Please check your regulations for the areas you plan to fish. Some parts of the river are fly-fishing only and some parts are catch and release.